Most people give very little consideration to food packaging unless there is a problem with it: poor construction or leakage, for example. However, the way food is packaged not only protects the contents inside, but it can subconsciously influence consumer behavior. The main goal of packaging is to protect the contents inside, both during transit to the market and while it’s on display. However, high-quality packaging also sends a subtle message about the quality and safety of the food. 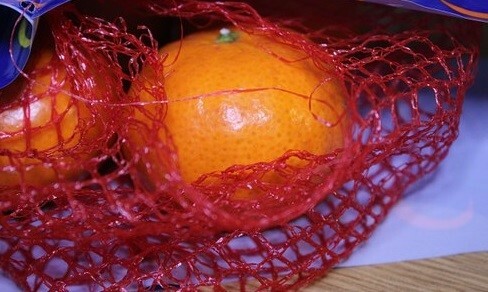 That’s why you’ll see such things as single oranges or a banana encased in plastic; it may seem counterintuitive to wrap goods that already have a natural protection built-in, but it gives the perception of cleanliness. This influences consumer behavior in a major way, and so manufacturers spend a great deal of money to get the packaging just right. People are more likely to purchase goods that offer benefits over those that are a hassle to deal with. Convenience relates to everything from portability to freshness. Consumers want products that are sturdy yet easy to open. They also prefer features that keep food fresher longer. An example is a resealable bag. Streamlining how products are packed is an attractive concept to consumers as they often face a lack of storage space in their refrigerators or cupboards. Another common complaint is inadequate packaging or inappropriate packaging. Think about all the times you’ve had to deal with bulky boxes that were half-filled or flimsy or consisted of layer upon layer of materials serving no practical purpose. Good branding is just as important to the consumer as it is to the companies who work so hard to get it right. If you think about it, smart branding allows you to instantly recognize products from companies you’ve grown to trust. This can sometimes be a drawback from a consumer standpoint. You might notice that newer companies or off-brands sometimes use similar designs, logos, and color schemes as known brands. This is clearly a way of getting people to buy their product. Along with the above elements, a little creativity goes a long way. Unique touches or innovative ideas sell. This includes unique shapes (think of Mrs. Butterworth’s syrup bottles), bold colors, and eye-catching graphics. Creative packaging that also provides benefits will send products flying off the shelves. In the end, it turns out that food packaging, like what we offer at SouthPack, matters almost as much as the product itself.